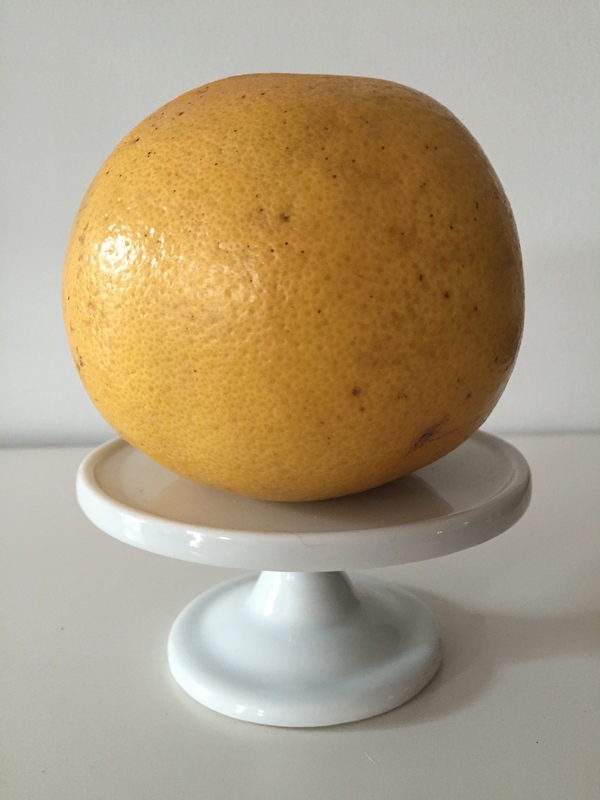 Behold the lowly grapefruit. While lemons, limes and oranges have risen to citrus celebrity status thanks to their liaisons with Leinenkugel, Corona and Blue Moon, the poor grapefruit has had to sit on the sidelines, the wallflower of all citrus fruits. There’s been no ice-cold craft brew pairing for this lonely yellow fellow. No, Mr. Grapefruit has had to content himself with merely adding a little brightness to ho-hum diner breakfasts and the obligatory winter fruit salads. Until now. Once again, Shiner has risen to the occasion, delivering the grapefruit from its mediocre existence. 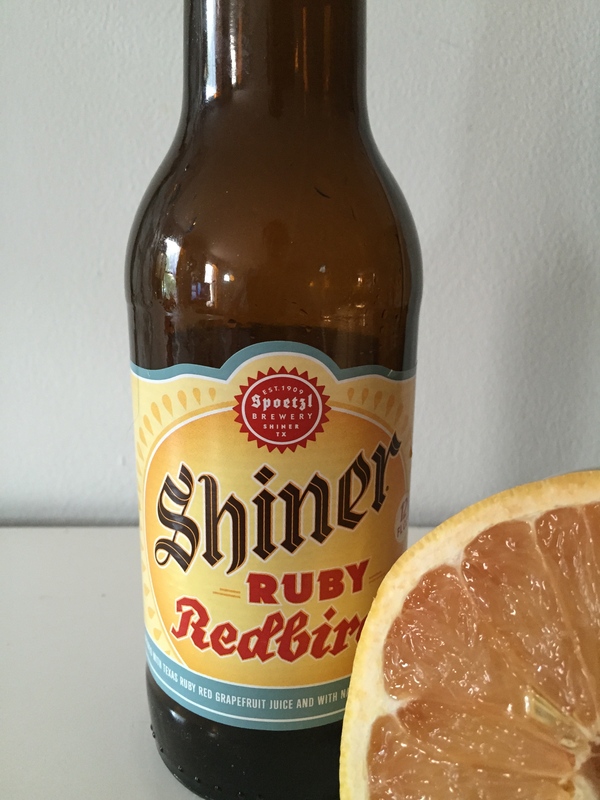 Take a look at Shiner’s Ruby Redbird – a crisp, refreshing beer brewed with Texas Ruby Red grapefruit juice. What Blue Moon has done for the orange, Shiner’s has done for the grapefruit, the signature citrus of the Rio Grande Valley. 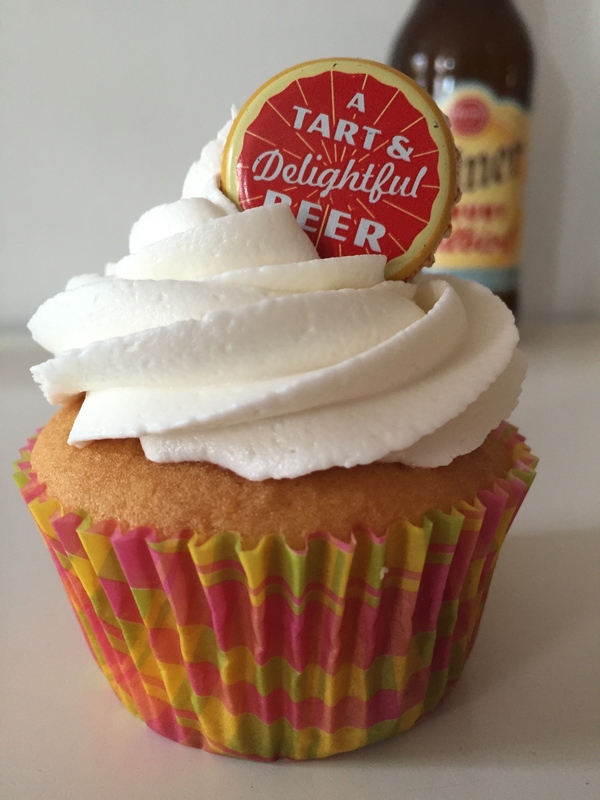 So before it gets too hot to fire up the oven this summer, give these cupcakes a try – a tart & delightful cupcake from a “tart & delightful beer” – thanks Shiner! 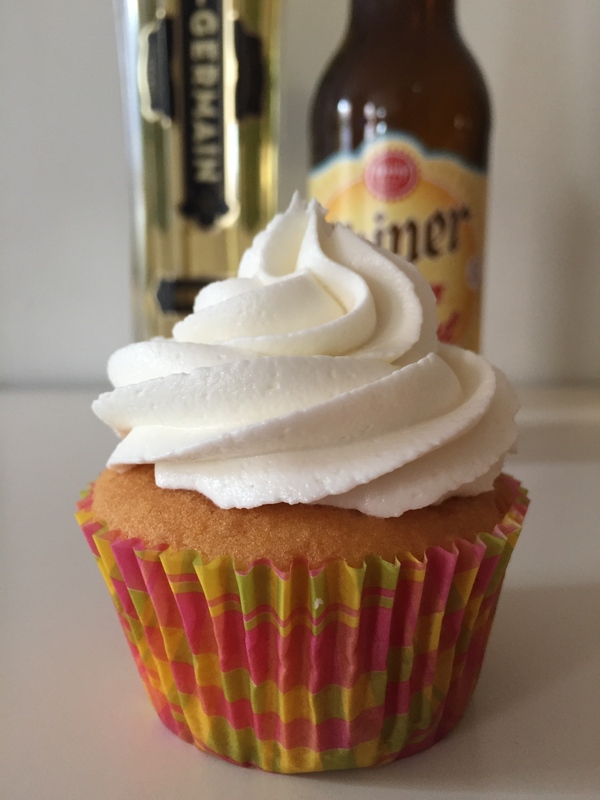 As I often do with the beer infused cupcakes, I started with a box mix. With the extra steps required for the grapefruit curd, it makes sense to save a little time using a mix. Start with the curd first, so it has time to cool. Combine first 5 ingredients in the top of a double boiler, stirring well with a whisk. Cook over simmering water until thick (about 10 minutes), stirring constantly. Strain the juice mixture through fine sieve into a bowl. Discard solids. Add butter, stirring well with a whisk. Cool completely. This will keep in the fridge for up to a week. When using a box mix, follow the directions on the box, but substitute the amount of water called for with the same amount of grapefruit beer. I used Pillsbury for this recipe, so this recipe follows those directions. Mix all ingredients in large bowl of stand mixer until just combined, then mix at medium speed for two minutes. Fill prepared cupcake pans. Bake at 350 degrees for 15 minutes, or until toothpick comes out clean. Let cool in pans for 5 minutes, then remove to racks and cool completely. Once cool, remove small portion from the center of each cupcake (I like to use a melon-baller for this task.) 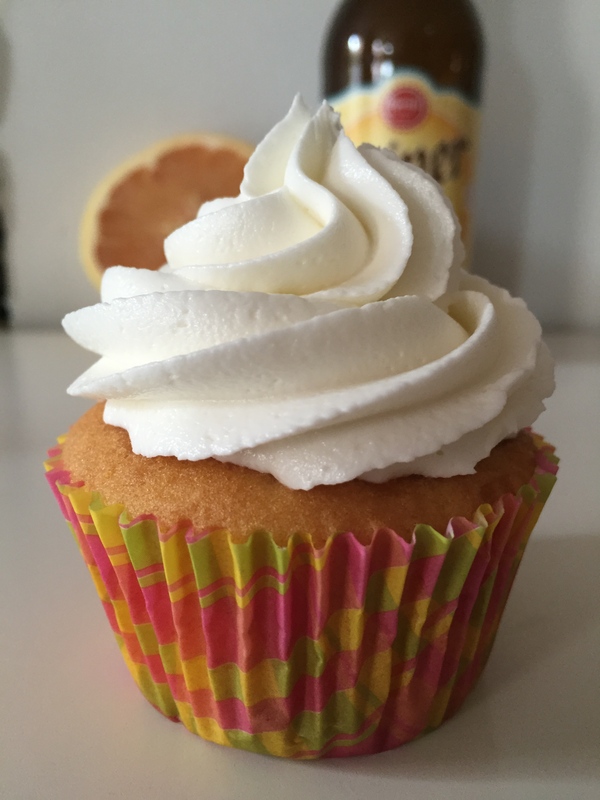 Fill each cupcake with a small dollop of grapefruit curd, then frost as desired. In large bowl of stand mixer, cream together butter and grapefruit rind. Add confectioner sugar, St. Germain and juice and mix on low-speed to combine, then at high-speed for 4 -5 minutes, until light and fluffy. Frost as desired. My box mix calls for milk not water. How do I add the beer? Thanks for your question. I haven’t used any mixes that call for milk, but I usually just swap the liquid called for with the same amount of beer, and it always turns out fine. But let me know how it turns out, it’s an interesting situation.